Electronic Arts has released the official trailer for the Star Wars Battlefront II: Battle of Geonosis update featuring Jedi hero Obi-Wan Kenobi and the new Geonosis map in the latest update. Free for all Star Wars Battlefront II players, the update will be available starting November 28. Check out the trailer below! 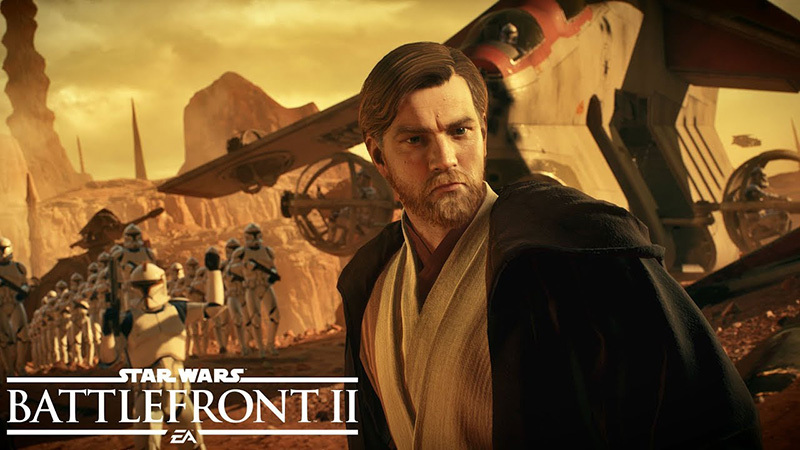 In the Battle of Geonosis update, players will be able to unlock the 212th Attack Battalion clone trooper appearances, more General Grievous and Obi-Wan Kenobi appearances, the chance to drive the new STAP and BARC speeder before dominating the battle with the AT-TE walker. Obi-Wan Kenobi will cost 35,000 credits and will not be available via crystals. His additional “Robed” appearance will also be available, classified as Epic and costing 40,000 credits or 1,000 crystals. 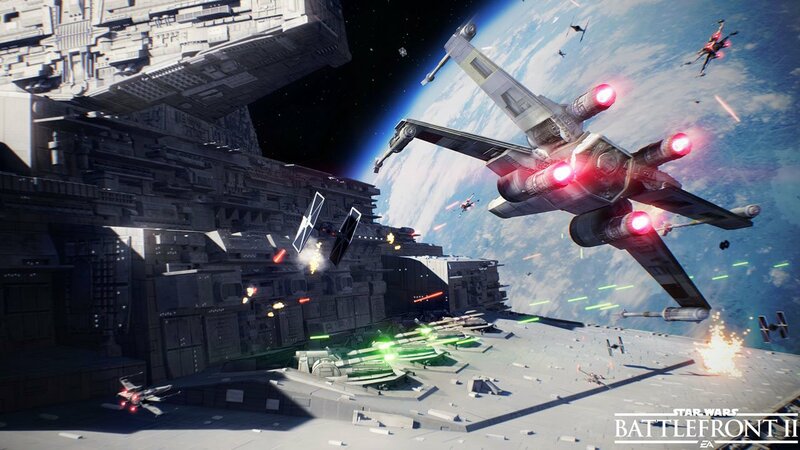 The 212th Attack Battalion will cost 20,000 credits or 500 crystals each and will be available for Assault, Heavy, and Specialist classes for the Galactic Republic. A bundle, available from within the crate menu, will be priced at 40,000 credits. The Geonosis planet is one of the largest planets created for Star Wars Battlefront II. The AT-TE is the heart of the Geonosis Galactic Assault map. The six-legged armored walker is fully controllable and plays a vital role on the battlefront. Clone Troopers will try to protect their AT-TE’s at all costs while the Droids will have to do everything they can to halt their advance. The BARC and STAP speeders are fast and agile, allowing for accelerated movement around the battlefront and across the Geonosis landscape. In addition, General Grievous will be getting a new appearance never before seen in Star Wars, the Shattered Armor. The Shattered Armor appearance will be classified as Legendary and will cost 80,000 credits or 2,000 crystals.